PREMIER SUPERCOPA PROVIDES THE HIGHEST LEVEL OF COMPETITION AVAILABLE IN THE UNITED STATES FOR U9 – U12 COMPETITIVE YOUTH TEAMS. WITH NATIONWIDE TEAMS BEING INVITED, THE PREMIER SUPERCOPA IS PROVIDING NOT ONLY THE BEST COMPETITION BUT THE MOST DIVERSE COMPETITION TOO. THE PREMIER SUPERCOPA IS AN INVITATION ONLY TOURNAMENT. The Premier SuperCopa 2018 was played in Denver at the beautiful Aurora Sports Park. 184 of the most competitive teams in America traveled into Colorado representing states as far away as Hawaii, Florida, California, Texas, and New Jersey. International teams participated from Canada and Mexico to round out the most diverse field of teams in the tournament’s history. Once again Mia Hamm, Kristine Lilly, and Tisha Venturini attended the Opening Ceremonies hosted at Dicks Sporting Goods Park as part of the Colorado Rapids vs. Chicago Fire MLS game. SuperCopa players, coaches, and managers we invited to parade as a team at field level immediately prior to the big game. Tournament games kicked off Thursday morning and the competition was nothing short of impressive. A coaches social was hosted by Hudl in the evening with games continuing all day Friday. A playoff bracket reveal was debuted for the first time in tournament history with hundreds of attendees participating to be the first to view the playoff competition. Sunday kicked off early with Champions being crowned throughout the day. First and Second place teams from Gold, Silver, and Bronze divisions in each age group paraded across the awards stage in the Fan Zone with a 17′ LED jumbo screen displaying World Cup action in the background. The weather and backdrop of the Rockies made the 2018 SuperCopa even more special. This year’s tournament was unanimously voted as the best event in SuperCopa history by the tournament organizers. Mia Hamm, Kristine Lilly, & Tisha Venturini | Do you Have What it Taks? The Premier SuperCopa moved from Dallas to the Chicago area for 2017 and introduced it’s new tagline, “Do You Have What It Takes?”. The excitement was unrivaled. The boys and girls tournaments combined into a four day event and was hosted by the beautiful Mercyhealth SportScore Two complex with 26 soccer fields sitting on 180 acres. Mia Hamm, Kristine Lilly, and Tisha Venturini participated in the SuperCopa Opening Ceremonies and took time out to speak to the coaches and players, later signing autographs and taking pictures. The tournament was an amazing success hosting 78 different clubs from 24 states and Canada. U90C is pleased to announce the combining of the boys and girls divisions under the single brand of Premier SuperCopa. The pilot launch of Premier SuperCopa G with a scaled back team count in 2015 enabled a proof of concept solidifying that both genders’ events will bring overwhelming success long term. Premier SuperCopa for 2016 and will host a boys tournament weekend and a girls tournament weekend immediately following. The boys tournament continues to host the U9-U12 age divisions while the girls tournament will add the U13 age division starting in 2016. In addition, the tournament committee is only offering the 9v9 format for the U10 age division to better align with the new USSF directive towards smaller sided soccer. “The last 3 tournaments have been amazing from start to finish. The competition is ridiculously good. The structure, organization and professionalism of the event is the best I’ve ever been associated with in 25 years of youth coaching. The Premier SuperCopa continues to gain popularity and momentum following the June 2014 tournament. Despite many requests to offer older boy’s divisions, SuperCopa continues the commitment to offer the only national championship level tournament in the United States that focuses on and honors the youngest teams. With the world-wide strength of the US Women’s National Team, Premier SuperCopa will add U9 through U12 Girls divisions for 2015. The 2015 tournament dates coincide with the Women’s World Cup allowing the event to include activities surrounding the World Cup and illustrating to these young girls the exciting path now available to women in soccer. As with the boys the event begins smaller, accepting only 16 teams per age group with the expectation to expand to match the boys 24 teams in 2016. The demand created by in the inaugural Dallas Premier SuperCopa led to its doubling in size with the addition of U11 and U12 boys age groups for 2014. This was due to the U10 teams of 2013 insisting on having further opportunities to attend the tournament. Premier SuperCopa remains an invitation only tournament with teams chosen mostly by the SuperCopa Selection Committee, and the 4 game format with reseeding for playoffs is firmly in tact. Over 200 teams applied to the tournament, but acceptance is limited to the top 24 teams in each age group, thus guaranteeing an experience well worth each team’s time and financial commitment. 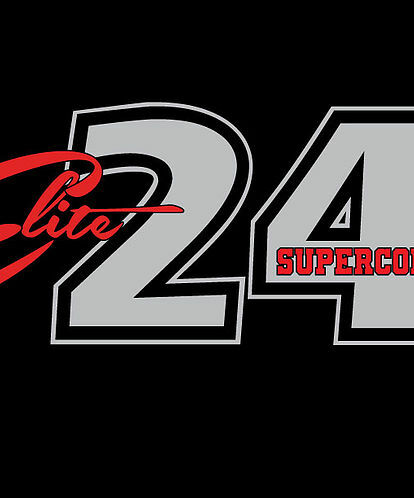 These teams are known as the Elite24 signifying their position as one of the top 24 teams in their age group in the United States. Premier SuperCopa began in Dallas, Texas in 2013 with the goal of providing a tournament with the highest level of competition combined with the most diverse team selection in the United States for U9 and U10 boys. Teams this young had never traveled this far, but this group of “The Original 48” SuperCopa teams had a superior experience creating demand that led teams to begin requesting acceptance to the 2014 event while the 2013 event was still in progress. The mission of Premier SuperCopa is unique in that it focuses solely on the young, developing teams throughout the country who are playing soccer at a spectacularly high level for their age. It is the only tournament with a nation-wide reach which only includes U9 through U12 teams. Everything offered, on and off the field, at Premier SuperCopa is designed specifically with this age group in mind; there is the experience of an elite player but surrounded by only others your age. Teams have the tactical challenge of playing 11v11 soccer (U10-U12) on excellent field conditions but with sizes adjusted slightly to be age appropriate. Most SuperCopa teams struggle to find competition in their local leagues and find that their development receives a boost from 4-6 games of evenly matched competition. Premier SuperCopa guarantees teams a 4 game minimum. 3 group round games are played within brackets of 4, and all teams advance to quarter final playoffs. Before beginning quarter finals teams are re-bracketed into 3 groups of 8 (SuperCopa, Silver, and Bronze groups) based on their point totals from their group games. Quarter finals then begin with each bracket of 8 teams ensured to be grouped in similar levels, and quarters, semis, and finals are played to declare a champion in the SuperCopa, Silver, and Bronze divisions. This format provides for 4 games for all teams, 5 games for 50% of the teams, and 6 games for 25% of the teams. Travel is expensive, and Premier SuperCopa offers the maximum soccer possible.